Feedback continues though the Challenge is now closed to new submissions. 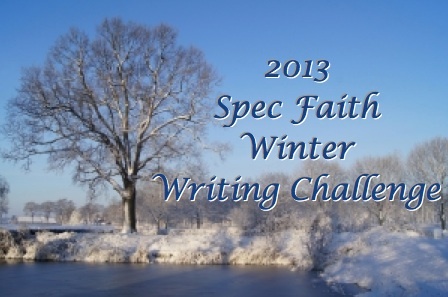 We started off 2013 with a Winter Writing Challenge, so it seems fitting if we close out the year in the same way. 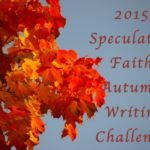 I’ll give a first line, and those who wish to accept the challenge will write what comes next–in 100 to 200 words–putting the entries in the comments section of this post. 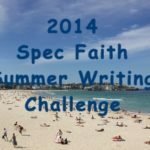 We’re not looking for a completed story, but rather for an intriguing opening of a novel or short story, though it is possible to write a piece of flash fiction within the word count, and any such entries will be accepted. Visitors who read the entries will give thumbs up to the ones they like the most (no limit on the number of thumbs-up a person can give), and, if they wish, give a reply to the various entries, telling what particularly grabbed their attention. 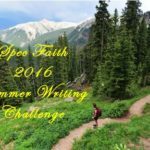 (Participants are expected to comment on at least three other entries). Once again I’m offering a $25 gift card (from either Amazon or Barnes and Noble) for the entry that receives the most votes (as opposed to the most thumbs-up). In the event of a tie, a drawing will be held between the top vote-getters to determine the winner. * Your word count does not include the first line. 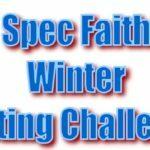 * You will have between now and midnight (Pacific time) next Monday to post your challenge entries in the comments section. * You may reply to entries, giving thumbs up, this week and next. To have your thumb-up counted to determine the top three entries, it must be included before Monday, December 16. * Voting for the winner from the top three begins in two weeks. I like your writing style here: concise with good pacing. You’ve conveyed Gem’s age and character vividly through the action (something I struggle with, so I’m impressed by anyone who succeeds!). I did get a little confused near the end–it’s not clear what the standing rings and focus diagrams mean, or what the source has anything to do with the matter–but if this were a novel, I’d want to read further and find out! I like this too! I agree with Literaturelady’s assessment – this was instantly interesting, and you did a great job conveying Gem’s personality and age (and I love that she’s older…it makes her an unusual protagonist!). But some of the worldbuilding language was a tad confusing for the reader to have thrown at them right off the bat. I’m really intrigued, though! I’d read on! I like the idea of leveling up. I’m always a fan of works that try to bring MMO tropes into the real world, and gamer culture is a rich deposit of stories to mine. I also like the eccentric main character. I agree on the worldbuilding. There are a couple of issues that are minor with it. First would be that you could eliminate the “is it smuggling” and lose nothing. Since the commandant doesn’t answer the first part or react to it, nothing is gained by including it now as opposed to later. …and then go from there. If Gem’s established to be flighty or jumping from thought to thought you can show it through the commandant’s reaction and keep both of these issues as is. Great opening though, and I’d love to see more of it. I like the intrigue mixed with sassiness. Always a good combo. Don’t know if Gem’s temperament is easily inclined to it, but have to be careful not to be too sassy or constantly so. It would become tiring. Great job, notleia. I concur with almost everything the others have said. I take exception to the comment that “Did they use standing rings or focus diagrams?” is a problem. You are solidly in the character’s POV, and if that’s the question she’d ask, it’s perfect. In _How to Write Science Fiction and Fantasy_, Orson Scott Card calls this the principle of abeyance. I may not know what a standing ring is (though it conjures images of both standing stones and Stargate, so I like it!) but I’m willing to wait for the story to reveal that information. Honoring POV is more important than either explaining stuff or avoiding the proper name for a thing because its unfamiliar to the reader. My only niggle — and this is really a puny, copyeditory thing — is that the list “monitors and sensors and communications” contains two concretes and an abstract. I want to change it to “communicators” or “communication equipment.” Or radio or telegraph or — you know, something concrete. It is the FARgate. From the makers of Findependence day. We are not getting sued. Ugh, and today I find out videos are embedded in spec faith comments. Instead of starting at fifty seconds in on a link like I intend them too. Yeesh. Warning for language in the beginning there. Creative! Rich vocabulary and snappy dialogue! We think of sages as aged then we clean them up as per our culture’s eternal youth fetish. Your realism is refreshing! I love these challenges, Becky! Thank you for creating another one! Cool idea. It’s traditional fantasy, but you set up some nice little hints about the world in a short space. Could easily lead into action too. The messenger ignoring the command to act quickly needs a little justification. Does he not like Lady Crystolite either? Is he in her employ or not? The dam broke needs some qualification too. I know you meant something like “dam of emotions,” but one of the things I learned was that sometimes people will take analogies as literal in SF and fantasy at first. They may look for a real dam breaking somewhere. Gem flung out an arm. No one heeded. She seized her quartz staff and smashed it onto the platform. The hollow boom overpowered the crowd’s noise and settled it. You’ve already mentioned her sleeves were long, and removing it doesn’t really take out much. If instead her aside shows information like how she hates the sleeves, or how Crystolite’s addiction to having her sages opulently clothed may get people killed, it adds something. Some quality work though. I also like how you kept the gem theme, and for traditional fantasy it gets right to the point with direct language and action. Thank you for your critique! Looking over my submission, I agree with your points. Very good writing, LiteratureLady. There’s a tad too much telling in the first paragraph. The writing is a bit overwrought, but maybe that’s your style. The conflict is incorporated well, and I love the circularity of the “sacrifice indeed” echoing the opening. Good job! I like how you develop the idea of the sages – they’re “elite guardians”, apparently sometimes for hire, very involved in public ceremonies – even those (such as unveiling the statue of a lawmaker) that are not religious in nature. You also make Crystolite a strong character without ever having her appear. I’d recommend you cut the sentence about the messenger ignoring “this last command”. It is a fun moment, and it ramps up Gem’s frustration effectively. We’ve all been there ourselves – in a hurry but other people won’t be, even when we tell them to. Despite these merits, it doesn’t work in the broader context. In the previous paragraph the messenger “sprang to her side”, so his slowness at carrying the message is rather a shift. But more importantly, it undercuts Gem’s position as a sage that her order is flouted by a low-level messenger. Still, that’s only one sentence. The whole is well-written and interesting. If it were the first page in a book, I’d flip to the next one. You put our sage in difficulty, counter to our usual perception that they are omniscient and omnipotent. And she can be bought! I liked the cavernous sleeves and glowering faces. Good descriptions! I love how you quickly establish a setting and the role of sages in a single concise paragraph, then jump into the action without unnecessary exposition. Firstly, I found “the messenger ignored this last command” pulled me out of the story, trying to figure out whether he disobeyed the entire command, or obeyed but in a leisurely fashion. Secondly, I was slightly confused at the line “the sleeve swallowing her fingers ruined the signal”; I wasn’t sure if you just meant that the crowd didn’t see/understand her gesture, or if there was some sort of magical ‘signal’ she was trying to send out (I assume it was the former, not the latter, but given a fantasy setting it’s a little tricky to tell). This one’s strong. It establishes a lot quickly, and gets personality across well. I really don’t have much to say on it except a short reason or hint why Farro is unconcerned about the potential of being strung up besides Gem could help. Other than that well done. You manage to introduce a lot of concepts in a small amount of words and a natural voice. You should write the rest of this. I like this new take on “The Man Who Would Be King” kind of thing. And I like that there’s another goal to motivate the sham, it makes the story deliciously complex. Thank you! 🙂 There’s definitely more story behind this, and just like the last writing challenge, I’m intrigued and might want to explore the story further someday. What follows the first line is an attention-getter, but I’m not sure how it fits with the opening line itself. It’s the ‘upper-level sage’ element that is unexplained, I think. But, maybe I’m just obtuse. It wouldn’t be the first time. Yeah, I definitely didn’t read it as actual flesh and blood sacrifices (even when I read through yours the first time), I think maybe because of the “quiet night” lead in. The writing is very strong, but I agree the character motivations and the literal sacrifice didn’t come through. Still a great effort! Thanks. I’m curious what you mean when you say the character motivations didn’t come through. You mean you’d like to know why she’s in disguise as an “upper-level sage”? Okay, I really like this one. Some of the others I have trouble following, and this one is clear and punchy. I’d keep reading! The two of them obviously have an uneasy working relationship. I wonder what his nefarious purpose is. I like this one. Even though the conflict isn’t immediate, the potential is looming. Not making them human gave it a different twist. It’s unclear what exactly they’re doing, and why they could get in trouble, so I wish that had been more developed. I guess that’s the price to pay for squeezing everything under the word limit. The fact that Farro seems unconcerned while Gem is worrying makes me wonder if he’s really on her side. There’s enough intrigue and questions that need answering to make me read on. Intrigue and Opposition within and without! And a cave with hearth, comfy chair and curtains! Very creative to have an imitation sage….disclosure threatens constantly. Lots of suspense from many directions. I see that you interpret sage her literally rather than figuratively, which is probably the way most are going to take it. And if so, I can easily see the connection with Gem. But “a quiet night at home” and “upper-level” sound like the jargon that might pass between members of a modern business, in which case sage would be figurative. That aside, you are setting the stage for the woman who does it all (motherhood, authoritative figure), albeit not in corporate America but fantasy land. It works well, I think. It seems to be the thing nowadays. I don’t generally consider myself a feminist but your comment bothers me. If the main character had been a man would you have said that the excerpt was about a man who does it all? I consider myself egalitarian, and I agree, Leanna. Thomas, the whole point of a writing prompt like this is that we will all read totally different things into each word. That’s what makes it fun. Every writer takes the starting point and goes in a totally different direction. It’s not fair to criticize a piece just because it’s not done the way you would do it. Each piece has to be judged on its own merits, in view of the storyworld the writer creates. Leanna, I am sorry the comment bothers you. It was not intended to bother anyone, and it was not a criticism. Kristen, what crack? I was relating what is true. The role has switched from what it was twenty, thirty years ago. You see it in TV serials, movies, books. Therefore, I would expect it to work well. It fits in with the going thing. Tomorrow it may be cowboys, or waitresses, or computer programmers, or circus clowns. Why would either of you see this as a criticism? Because the way it was phrased … “motherhood, authoritative figure … seems to be the thing nowadays” makes it sound like a passing fad — a bandwagon the author is jumping on — instead of an ancient truth that resonates deeply. Kristen, I see what your point is. I doubt it will be a passing fad. But an ancient truth? Not sure what you mean by that. The motherhood/authoritative figure complex is the exception rather than the rule in the Bible and world history as well. Don’t get me wrong. I am not against the idea of a woman who is both a mother and an authority in a professional field (with the exception of a pastor/elder – hopefully you would agree on that one; there may be other exceptions, but they would all have to fall under Paul’s qualifications for elders and any legitimate application of that). I had a battalion commander who was female. No problem with me. I have had women professors/instructors. No problem there either. Department chairs, governors, senators, CEO’s, CFO’s, managers, etc, etc who are also mothers are okay with me, as long as family has the priority. (Same for men.) How that looks in real life will certainly be different from case to case. Again, they have been the extreme exception in both redemptive and secular history. In novels, TV Serials, and movies they are the thing nowadays though unfortunately, for whatever reason (secular feminism perhaps), the idea is often promoted in such a way as to degrade the male/father role, making him look stupid, bumbling, negligent. A story that biblically builds around such a woman would be agreeable to many, especially Christians. I think a super story could be written though it would probably take a woman to write it – she has the inside scoop. What I like most about your entry is the personal stakes for Gem. “Sacrifices” obviously refers to losing a quiet night, but also, possibly, an estrangement from her husband. And I love the way you’ve shown her love for her child. It makes her very sympathetic, especially considering that all the sages and variations I’ve read in fantasy tend to be single or evil. Great work! I think this one out of all of them needs more than the 100-200 word limit. A good-sized chapter about Gem’s cozy domestic life would work well, especially since you manage to put some nice details about it in the tiny amount of room that you have. It doesn’t have to be to the level of Tolkien talking about the shire, but mundane fantasy is wonderful when it’s slow, rich in detail, and builds up to the “world in peril” incident. It works very well, make it longer! I realized after I started that the scene I’d chosen wasn’t going to work well for such a short excerpt but decided to keep with it anyway. 🙂 There were a lot of other details I would have liked to fit in (particularly a name for the baby!) but had to sacrifice for brevity. I might try expanding it into a short story (like 10k or so). I have way too many novel bits floating around between brain, notebook and word processor and short stories are an art form I’d love to gain some skill at. This is fabulous. Really. Character, sensory detail (the soot from his hands!) the affection contrasted with conflict…excellent work. There are some tiny little copyediting errors: e.g., six-month-old should be hyphenated as a compound modifying son. But I hate to nitpick when this is such a well-crafted scene. And the puddle of blood … way to raise the stakes! Brilliant! You have layers of tension here: the tension between Gem and Lief, between Gem’s desire to stay with her baby and her need to go, and the tension of whatever crisis is summoning her back. But that’s a minor point. Strong opening, Leanna. I already see the hints of discontent and immediately want to know how the conflict started and how it will be resolved, or will the chasm grow to the point of no return? Is the tattoo a remnant of a job he doesn’t approve of, or a past she has been reluctantly pulled back into, perhaps? I see a dichotomy of the motherhood obligation and struggling with another duty, an easy one for me to relate to in my life. The puddle of blood pulled me up short and now I want to know what’s going on outside! Sages are human! Forget all that magic stuff, they have babies and longings and unspoken regrets and unclarified conflict with soul mates. Warm flesh and blood walks beside the paranormal with regrets. What better way to define ‘sacrifice’? I upthumbed this because it has various things going on–internal and external– and establishes that there is already conflict, with more to come. Yay. It has some awkwardly worded phrases and sentences (resigned disappointment; the sentence where she pulls out the black quartz). Aside from parts that need smoothing–and that’s easily done in revisions for flow–it works for me in terms of creating the ambiance and setting up multiple conflict lines. Plus, hey, puddle of blood. Good job. This one tugged at my heart immediately because of the mom-thing. I’m a mom and immediately could relate. The conflict between work and home life is common to most families today, so even as a fantasy novel in a strange world, again I could relate. As a busy modern-day mom who works from home, I have less patience for stories that build up a huge world with long, rambling introductions. Writing like this immediately pulls me in without giving me too many unfamiliar details and then sets the hook with the puddle of blood. The light conflict with her husband’s disappointment and who will babysit suddenly becomes life-and-death danger. Good job! I would agree with the other commenters that this has a lot of a good deal. My question, though, was did anyone else connect the flashing tattoo with the Death Eaters? Hmm, interesting hook! It’s kind of confusing, though. Is she walking down the street? Riding in a car? I’m not feeling any connection to the scene. Kessie are you really confused – or impatient :). I don’t think it’s necessary to cram everything in the first few paragraphs at once. The mystery of the mode of travel can lend to the mysteriousness of the looming crisis back at the office (or wherever it is she’s going). But I wouldn’t want to let it go unanswered too long. It could lead to a mood of frustration, which does not bode well for keeping your reader. When the writer does resolve the question (is she walking or driving) the reader will become content, and contentment is always a plus. Hmm. I agree with Kessie. Very confused here. You have some intriguing elements! But it would be helpful if we had more of a visual of the scene. We don’t know what Gem is doing – personally I didn’t get the sense she was traveling at all. There are too many vague, unknown elements here for the reader to be gripped by the story right off the bat. I’m interested to know what the world needs saving from, though! You’re trying to do too much in a limited space. You’re right about not needing to understand everything in the first few paragraphs, but you need to pace introductions slowly and only bring in elements one at a time. One example is where is the “there” Mr. Sohnberg and Jason are at? Is it Gem’s home, or the location she is hurrying to? one-eye is Sohnberg? Gem is walking, driving, using a carriage? What is the sacrifice Gem is making? You’re terse to the point of creating confusion. A tip I was told is that you can use the physical environment as a spur to introduce information. You have a great image in Gem hurrying through the snow, and you can add information gently by tying it to that scene. If you focus on a single element and use that as a framework, it can unify a lot of information. I like the cool, winter, Dickens flavor of your idea, and it just needs a little more time and space to develop. I like the way you’ve tied the snowfall to the character’s emotion. But there’s nothing happening here. Just a character thinking about other people. She’s not actually acting on anything at this point. I have to agree with the others; there’s not enough here to hang on to. The concrete details you give are excellent: the street lamp, the black oily smelly thing — there are just not enough of them. The contrast of the horrid smelly thing being the world’s hope is a great twist. Outhouse in a fish market. Now That’s an olfactory description. When you wrote ‘stink’ I thought, ‘problem’. Then you turned the tables and shoved that problem up my nose! You created a very novel threat and then called it ‘the world’s hope’. The ideas break rules and up end conventions,which is very desirable in Speculative Fiction. To all – admittedly exactly how does the snowing and Gem fit together is not clear at this point. Perhaps a line like, ‘Gem stepped off the curb; the office was just across the street;” or, ‘Gem dropped the curtain. It was going to be a long night.” Would that have resolved all the unknown elements? Hardly. Is it really necessary to say anything about the snow just yet, or give a sense of where Gem is, or how she’s travelling. Do you really need to place Gem in a specific locale, yet? Doesn’t a black, oily, smelly box that is somehow the botched hope of the world provide enough intrigue to keep the reader because he wants to see what in the world that is all about. A malodorous box, a monocled guy, and an attractive office mate load the story with potential and intrigue. Isn’t that all we are tryting to do right now? It’s a hook. How about these? Instant intrigue and mood (without any dialogue to boot). Special Agent Nathan Donovan lifted his tray table and peered down at the small plastic case wedged between his feet, just as he had done a hundred times before. It was a beverage cooler, really, nothing more, the kind he might have smuggled into a Mets game or taken to the Jersey shore. The simple red lid was unceremoniously duct-taped to the chalky white body, giving it an altogether unassuming appearance–as though it might contain nothing more than a frigid six-pack or a picnic lunch for two. Delaney said the words aloud, not becaue anyone could hear him but because the words needed saying. He wished his small declaration could create a bit of sympahty from a crewmate, or a native, or even one of the cutthroats who had left him here. But he was alone. Mark was eleven and had been smoking off and on for two years, never trying to quit but being careful not to get hooked. He preferred Kools, his ex-father’s brand, but his mother smoked Virginia Slims at the rate of two packs a day, and he could in an average week pilfer ten or twelve from her. She was a busy woman with many problems, perhaps a little naive when it came to her boys, and she never dreamed her eldest would be smoking at the age of eleven. I think you’re right about having a lot of good elements–the problem may be that you have too much in the hook. A smelly box involving the hope of the world is intriguing, but even before readers get to the box, they have to sort out 3-4 characters, plus jump from the idea of sages making sacrifices to a snow storm to someone without a concrete frame beyond a few snow flakes to give her character or meaning. To take from your examples above, the Prime Minister doesn’t need much explanation–everyone knows about Prime Ministers–so readers just need to see what he’s doing, which in turn gives him a very solid setting. No one knows about the Dursleys, though, so they have to be introduced, focusing on the contrast between solid and normal vs. the magic world about to be introduced. Your story seems like it could have a lot of good depth as well, but the major players need space to spread out and become themselves. I upthumbed this because I liked the imagery given, and because the writing flowed. Yes, there is confusion, BUT, I wanted to read more. And that’s key. I felt like this could be a steampunky thing. I could envision it in 19th century somewhere. Monocles and boxes and desks and streetlamps and outhouses and fish markets and snow and capes and dark doings and magic. Good job. Mitirka, thanks. A lone friend among wolves (just joking everyone!!!). I note that you also used the word confusion like many others. If confusion means perplexity or bewilderment, then I think it is too strong of a reaction. I don’t think you meant it that way, given the context of your comment. If confusion means lack of order or distinctness, mmmmmm, I guess so, but not because of a lack of order. Lack of distinctness would mean I haven’t tied things down yet to anything specific, which is true – and intentional. Too much, too soon I don’t think is good. Too little too late is worse, but I don’t think that’s what I have done. After all, we’re talking about the first 100 – 200 words. The point was to put enough mystery and intrigue into it to make one want to keep reading, as you experienced. Frankly, I’m not sure where it would go. It would be like unearthing a fossil (to use Stephen King’s analogy). You begin to work at it but until it’s uncovered, your not sure what your going to get (except maybe the general notion that it’s going to be a dinosaur). The 19 Century is a really great idea, though. That idea ups the potential more than a 21st Century setting, I think. Thanks, I really appreciate your thoughts. Mirtika, sorry. The least I could do is get your name right. 1. I don’t know where Gem is (all I know is where she wants to be – at home), whether she’s looking out a window at the street lamp with snow, or walking down the street, or travelling in a vehicle, or standing in an alley. I don’t have a sense of her physical location relative to the things you’re describing, which prevents me from getting a strong visualization of the scene. Withholding details like that, which are important to the reader’s ability to grasp what’s going on, detracts from the story. A simple sentence to establish that would make everything else much easier to follow. 2. “Mr. Strohnberg would be there” — I don’t know where, or even what sort of place, ‘there’ is. From context, I’m guessing it’s not the street lamp or her house, but they’re the only actual locations mentioned, so I’m forced to assume it’s one of those, which doesn’t make sense. I need some sort of place I’m supposed to be visualizing in order to fully engage with the story. 3. And lastly, a very minor nitpick: “At least there would be something to look forward to” — is this referring to the previous sentence (ie she’s looking forward to seeing Jason), or to the next sentence (ie looking forward to accessing the box)? Apart from those (which are all fairly simple fixes), the other elements of the story look fascinating. As an aside, I wasn’t bothered that you haven’t explained to us the connection between higher-level sages and what’s going on immediately; I’m sure you’d explain that in the next page or two. I thought you did a great job on the initial introduction of Mr. Sohnberg and Jason, you set up to introduce the story’s conflict, and your closing metaphor was brilliantly vivid. The hard thing about this opening line was that it combined high fantasy (sages) with a modernistic phrase (upper-level). And you managed to keep that combination: dragons and muggers, an Arch-Sage in Arizona. Nicely done. It’s also intriguing and quite well-written – altogether a good job. It’s cool. Well done, to the point, gets the feel of paranormal/rw down right, and hits all the right buttons. The only issue I’d have is that it’s a little generic; paranormal fantasy or real-world fantasy is such a crowded genre that increasingly people have to add stuff to set it apart. That’s why we have instead of normal werewolves, gay cowboy werewolves from Arkansas. Not that this a good thing, but you may want to put more of your own style into it if you want to run with the idea. Really good, Kessie. I like the blend of the contemporary with the traditional dragon trope of fantasy. It caught me off guard and intrigued me all at the same time. She lives in Arizona and wakes up to find a dragon outside her door at 2 a.m. Awesome. What’s even better, she doesn’t seemed shocked at all. The dragon turning into a man was a great twist. The descriptions of heat and glowing eyes helped solidify the fact that he was the dragon. One thing that caught me was the description of her hair. Unless she was actually thinking of it as bristly and black, it seems like a POV error. I would read this story in a heartbeat. About the hair: There are two schools of thought regarding whether people actually think about these things. One school says that we don’t think about our own selves this much, so it’s cheating to write a sentence like that. The other says we are self-aware and do think about our persons, and so a phrase like “ran a hand through her bristly black hair” is an efficient way to deliver a visual of the character while remaining in her POV. Kristen, I agree with you and the second school of thought. It’s not a big deal; the POV is Gem’s is it not? Like you said, she knows what color her hair is, and now, so does the reader. We can get bogged down in a lot of POV minutiae. Instant and solid scene setting! Sages wear pajamas and rush through living rooms to peer through magic peepholes! The juxtaposition of ordinary modern Phoenix with scaly kidnap victims creates that flesh and magic tension Speculative readers crave. I would have her don the cape after she peeps, after she decides she won’t get mugged by the dragon. Kessie, your fan fic background just shines here. You know how to throw some great contrasts together into candy for my imagination. Black robe over pajamas. Phoenix, AZ and a dragon on the doorstep at 2 AM. A dragon is better than a mugger. And the dragon needs her help. My head spins in delight at these unexpected twists and I feel like I could let the story carry me along, enjoying every step along the way. “So she let her mother in.” Love that. The ending was a little weak though. I didn’t really get why this was a sacrifice. I like the classic fantasy beginning here, the young person setting off on their own to find their destiny. The clingy mom she wants to escape, the ill father she wishes she could stay with — while stereotypical, there are times that’s exactly what I want. A classic fairy tale. And there’s plenty of room to turn those things over into something more surprising later, in a full-length story. It took me several readings, though, to pick up on the subtlety of your opening and last sentence — that spending her last night with her mother was a sacrifice. Nice way to bring it back around. Great use of dialogue to set the scene and inform the reader. The family tension resounds throughout. If the superiors know about Mama and have set her as an initiation trial how will she factor in the rest of the story? I don’t think she’ll be left behind! I love how this flows smoothly and concisely, and lets us get to know a lot about Gem in just a few paragraphs – the general setting, her relationship with the members of her family, her age (very elegantly done, by the way; better than a lot of published stories), her goals and dreams, where she’s headed, even where and how her past few years have been spent. Each detail made me relate to and understand the character more. … I really have no critiques. I would keep reading this story without hesitation. Hm, interesting! I like how all the mages are elements. The first couple of sentences seem a little rambling–I think you could tighten it up a bit. I don’t get where the conflict lies, but then it’s hard to pack that into 200 words. Wonderful atmosphere. I agree with Kessie that the first couple of paragraphs are a bit rambly, and there’s not a clear sense of purpose. Love the names and the hint of remorse in the last line. Love this. I didn’t think the first of your paragraphs rambled. I thought they gave a strong sense of place, but I know I’m more hooked by a person, so I started caring a lot more when I realized that she must be with the other sages, all named for elements. Really an intriguing aspect to your entry, Shannon. Very clever. And you have me wondering what is going to happen on a night “like this” besides descending a creepy long winding staircase without any railing . . . in the dark. You’ve created a distinct mood, brought tension to the page, and given a succinct glimpse of the world. Really well done! The thing with the names is clever, though now I’m taking it too seriously and wondering what the difference between Gem, Metal, and Earth are. Now I’m wondering if Earthbenders could bend gems. This is one of my favorites. I like how each sage is an element, I like the very subtle conflict hinted at (is Gem afraid of Fire?) and I love the last sentence that implies there is something to be dreaded about “nights like this”. I’d read on! The spiralling staircase is fabulous. 😀 I really like the idea of this one but the description of the mages’ robes was too repetitive to really pull me in. That was fun. I’ll have to do these prompts more often. OK, that guy creeps me out. Could have used some more visuals, but the snow and fire were excellent sensory details. Good job, Zac! Why not start the story at the door to Leron’s quarters? There’s nothing said in the preceding sentences (summoning, snow, fear) that couldn’t be conveyed from that point. As it is the initial paragraphs read to me like one of those movies where the director won’t stay with a single camera angle for more than a few seconds (keep in mind, this is just my perception). Also, the villain seems like a caricature: cackling, words stinging, circling, eyes gleaming. It is just a short excerpt but I’d be more interested if there was something more to him, or even if it was a little clearer what the threat is (selling one’s soul isn’t usually meant literally but if it is literal in this case then I’m definitely curious to read more of the story). The caricature-ness works well to make him creeeeepy. But why is such an obviously creepy person in such an authoritative position? Glad that works, Leanna. I was a little nervous, thinking perhaps writers wouldn’t want their entries tampered with. But I want to invite others to come give feedback, and I know it’s daunting when they see 70-80 comments. Hopefully the color difference will help people find the entries more easily. Wow — there’s a rich storyworld here, but it’s almost two much in a short space. I think if it were expanded it would read better. The problems of a word count constraint. I like the conflict with the major, but the niece’s motivation seems artificial. Again, that’s a problem of the constraint. The writing is very strong. Good job! I seem to habitually cram the beginnings of stories with what readers say is too much. It may be a result of spending a number of years writing haiku poetry before I dared to branch off into fiction. Thank you for saying the writing is very strong. The most recent three pieces of fiction haven’t been color-shifted. Sorry, Heidi, I’m on West Coast time, so sometimes you all will have to just hang on until I’m able to get to Spec Faith. Interesting. I think the intro paragraphs could be tighter, but I don’t have specific suggestions for that. One thing that puzzled me was the use of titles. I’m sure you meant “lord of Jirin” as in a generic noble of Jirin, but “lord of ___” usually means the ruler of the place. So then you throw in a prince, and I had to stop a second to figure out the chain of command. That’s what I get for reading Tolkien so soon before these flash fics, isn’t it. And what I get for writing a scene related to other writing I’ve already done. 🙂 There is back story here, but it wouldn’t be fair to the other participants to go into it now. Good stuff, Krysti! Some rich world-building going on there. And you said a lot about the relationship between Giles and Gem in just a few words. Love the line “She’d missed his ugly face…” Well done! The thing I love about this is seeing all the different stories that emerge from the same first line. It goes to show the vast creativity and uniqueness we each have as writers. I really enjoy reading through the entries. It helps stimulate the imagination. I agree, Zac! I’m amazed with each of these challenges how different each entry is from the others. Truly a lot of creativity evidenced with these varied story starts based on the same opening line. Whoo! That is a great scene. Personality, setting, dialog, conflict…all very well done. Oops. I tried to edit the comment to add the blue color, but seem to have somehow instead repeated the first sentence. Now it won’t let me edit, so maybe a site editor can fix it later. Ah, well. I am always instantly intrigued by silent communication of any kind, and I want to know what she screwed up before this time? I enjoy reading a name I haven’t seen before as well, Revick sounds familiar yet, unique. I think you mean “bond-vassal,” not “bond-vessel.” The curse of homophones strike again! However, good point that it could be confusing to folks who are familiar with the term “vassal”. Could try “bond-chalice” instead, but that’s too technical, likely unfamiliar and would carry its own confusion issues. If this were a real novel, definitely an issue I’d have to wrestle through. Thx for the feedback, notleia. Granted, “bond-vassal” is a bit repetitive. But now I have to ask why vessel instead of vassal, since the latter is already a word about socio-political bonds between people. The semantics puzzle me. I’m guessing you mean that Gem is the holder/keeper of the bond between her and her master, but doesn’t the master likewise hold a bond to her? There’s a degree of mutuality there that I don’t think the word choice lends. Is she the keeper and/or object of a bond between her master and someone else? Part of me wants to let the mystery remain until the contest is over, but I suppose there’s no reason to play coy here. The nature of Gem’s relationship with Revick would become clear in the first page or two if this were a novel. Just as a bondservant is bound to serve, a bondvessel is bound to serve as a vessel for a high-level sage’s magical purposes. A bondservant is a physical slave, but the bondvessel is a spiritual one. Gem’s soul is at the mercy of her master, to receive, store and return whatever emotion, power, memory or other intangible soulish thing he gives her. It makes it possible for him to do more powerful magic than a single soul can handle. Kristen’s response earlier (that the term gave her the creeps, making her wonder what Gem would have to serve as a vessel for) was exactly what I was going for. Just imagine what it would be like if you had an irrevocable mental/emotional bond to someone? Forced to carry their thoughts, intents, emotions and memories? What if you found out too late what they were really like, on the inside? I really like the serious thought you have put into the concept of bond-vessel. Like you say, it would be better for the meaning of this to enter the story in spoonfuls. Weaving the bond-vessel concept into the story in the way that I think it would have to be done would be intellectually stimulating (for both the writer and the reader). Italicized words inside the opening tag and the ending one. Whoah, the comment plug-in is apparently being too smart. It must have deleted the spaces and still rendered the italics, so it doesn’t work as an example! CSS is a little hacky for just commenting! This is really good. I was immediately drawn in. Gem weighing her situation (which she’s obviously not thrilled about) against where she might be created sympathy. Especially the possibility of burning at the stake. The end was kind of weak. It didn’t give the same punch the beginning did, and I found myself wishing the last couple sentences were stronger. The idea of a bond-vessel was fascinating and gave the story an original feel. I’d love to learn more about it. Audry, this is a good piece of writing. The setting details are a little too sparse, though. That’s probably due to the word count. I like the front stoop and warm hallway, but then she turns to the cabinet, and it seems like a thing that should be really important, but it’s glossed over. I’m having trouble identifying what it is about this that holds it back, and I think it’s personality. We get a glimpse of the supervisor’s personality — brusque and a little grumpy — but not Gem’s. Thanks! I had too much fun with this, and my original post was about twice as long, so I had to remove most of my setting details. i was torn over this. great story potential but was confused as to the cross over from sage to inspector. I’m curious though to see what is next. great leave. Ugh, I think I scrolled through too fast and missing the comment part here, just put my story in the suggestion box instead. Way to pay attention, sigh. Suz, can you paste it into the comment box too? I think it would be better if you posted it, but if that’s a problem, I’ll see if we can retrieve it and post it for you ASAP–or email it to you so you can post it. But I hope you kept a copy and can enter it yourself here. Suz, there’s some great world-building here, and I like the subtle details that show Gem’s some kind of reptilian — the green foot and the tail. But with long hair. Interesting! There’s a lot of rumination and backstory, though, and that slows things down. It diffuses the suspense of awaiting judgement. Thank you. I had an immediate caste society fill my head with all sorts of contradictions and requirements for those living within it and, I may have been a bit vague in some of my descriptions. I think I’d like to follow this story through and see what happens! Is Dossep a place, or the Beloved’s name? I imagined the place she expected the new arrival to land. I didn’t think she expected to meet the Beloved. This is a really interesting story that needs about twice as many words to make it clear what’s going on. It seems very literary and experimental. I’m not sure whether that’s the mood you were going for. I have to point out that “smiled the Beloved” is not appropriate as a dialog tag. Other than that, I love the ending. Intriguing. And ethereal. I like the half-poetry, especially the last two lines that introduce the Beloved. If you did want to continue this, I’d suggest interspersing the poetry with something more (literally) prosaic, to make the contrast sharper and the poetry have more impact. Or, alternately, you can do the entire book in half-poetry if you wanted to go for a more Faulkner feel. Nice, I like this one a lot. I like this one too. The stand-off with the boy is a great touch, though the concept of sagethought was a bit confusing at first. I thought perhaps she was using telepathy to talk to the Proctor, before I realized she was working through a sort of protocol. Stuck with me, ain’t ya? oh what fun these two will be. The makings of a great pairing. You got a lot more imagination-provoking happening about their future into the 200 words than I did with my two characters. Nice job! The info-dump at the beginning was a lot to take in — the implications of giving up fertility had my brain barking “Squirrel!” and wanting to chase off in that direction for a while. Had to jerk the leash and process the next sentence, which also had a LOT in it. How would this boy kill her privacy? What are gobgoats? What do they look like feasting on the trash heaps? Sagethought took some getting used to, but I think I’d like it in a books. I’d get used to it. Appreciate it as mental shorthand. Very nice. So rich. And such a stand off. Great job, M! I agree, literary and experimental. It should have been a poem. What a great twist! Very imaginative. Good job! I like this one! And usually I don’t enjoy reading books with animal narrators/protagonists. But I found this interesting anyway – I’m wondering where Celeste has gone, and whether she is in danger? My only complaint is that the “Nope, not stopping,” seems like a very modern kind of phrase and doesn’t quite fit the fantasy feel of the story. Good piece of writing! Gem is a cat! What a unique take on the prompt! I like the way you wove in this information through Gem’s actions. However, I was a little confused by the two paragraphs in which Gem finds the opening. It was hard to picture what was going on, and I think the difficulty came from the number of prepositional phrases. But I liked this entry; you did a great job! I was hoping not to be too confusing. I had to take out a few words and I tightened the story there. I think I did myself a disservice but I will try something different next time. Thanks. I don’t see anything about a second entry either, Mir. 😉 Actually I considered writing that into the rules but couldn’t think of a good reason to exclude a second entry. Last time we also had someone enter a non-speculative piece, so I thought about entering that as well. 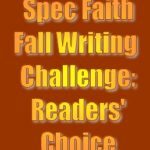 But since we are Spec Faith, I didn’t think that particular issue would crop up often enough to warrant another rule. I much prefer letting writers write however they wish. ouch. sounds like a big mistake. Nicely written but I was a bit confused with the second line. Actually, I still am. it didn’t flow with the next paragraph. But a great ending. nice leave. Like last time, I decided you all were having so much fun, I wanted in. Here’s my non-entry entry. All Gem wanted was a quiet night at home, but she’d been warned that upper-level sages would have to make sacrifices. At her appointment the high commissioner had been very clear. While maintaining her grip on the reins of her stallion with one hand, she pulled the hood of her parka closed at the throat. Bad enough that she had to come whenever his lordship summoned, but on such a night as this, with rain drumming against her hunched body? She hated hunching. She hated having so little control of her life. A stable hand had more freedom than she did. But a stable hand didn’t sit in the council with kings and advise the most powerful man in the land. If only the high commissioner would acknowledge the true nature of their relationship. Why all this secrecy, all the pretend that she was his consort instead of his counselor? She’d agreed as long as she didn’t actually have to sleep in Heathland Manor, but a stormy night like this was almost enough to change her mind. Undoubtedly the high commissioner didn’t care where she slept, as long as she showed up when he called. Lightning jagged through the clouds. I like how you developed the character of each of these two women, and made us care about them both, and the fact that they’re going to be separated from each other, and don’t want to be. Oh, this rocks! Setting, personality, dialog, emotion…all really well done. The relationship between the two women is built so solidly in such a short space… Love it! Paul, this is an intriguing initiation of conflict, so I’d certainly keep reading if this were the start of a book. I was a little confused at the beginning about Jerek’s sacrifice and the crimson and blue lines. Are they on her body or something woven into her clothing? (I’m guessing the latter or she wouldn’t need a cloak to cover them, though the description sounds more like the former). Then there’s the warning that somehow affects her though she is only a novice, and the jeopardy to her parents. I’m not sure how it all fits together. As I re-read, I’m guessing that for some reason the anonymous warning makes her think Jerek is going to sacrifice her. It seems a little thin for her to assume the worst about her brother. I think something that big would need a stronger motivation or at least foreshadowing. Still, it’s an interesting scene, and I’d like to know what happens next. Yeah, I left out information I had in a later paragraph that explained more of what was going on, which in hindsight probably needed to be sooner. (That the sacrifice is the sages taking away a victim’s magic to make Jerek’s magic stronger and enable him to become a master sage, and Jerek had chosen her as the victim; that the lines are tattoos, the red line marking her as a sage novice, the blue line identifying her magic abilities; and, for that matter, that there’s a magic system in this world at all..). Also, I’d like to make sure I understand your comment: when you mentioned “Then there’s the warning that somehow affects her although she is only a novice,” were you saying that it wasn’t clear the warning was directed specifically at her, or just that it wasn’t clear why the upper level sages making sacrifices affected her? Oooh, lots of intrigue here! I did not expect Jerek to be the one coming to kill her (or is that take her magic? – from the entry itself I assumed her life was in danger), so that was a thrilling twist at the end. 🙂 I do wish you had shown us more of Gem’s feelings beyond “her fear grew”, and the part about the marks on her arm was a bit confusing and could have been more clearly put, but overall this is a great entry. Paul, this is a great bit of storytelling. Unlike Becky, I have no problem believing a brother might put his work above sister. Guess that says something about the relationships we have with our brothers…I love the twist that she is the sacrifice. The backstory is loaded a little heavily, and some of the sentence structures are a bit awkward, e.g., “…her brother would become a master sage that night, the note jammed under her windowsill had further reminded.” But overall I love the mood, the intrigue, and the glimpse into their relationship. Well done. This was really intriguing. Echoing Kristen, I liked the twist that she was the sacrifice, and I’m assuming Jerek meant to kill her and not just take her magic away. The quick introduction of conflict and a character goal (escape) was well done. The ending was the best part. The wording was odd in a couple places, and I didn’t get why her parents might be harmed. I’m also wondering who gave her the note. I assumed it was another sage, but why would someone be helping her? However, I didn’t have trouble with the tattoos. I got right off that they were on her arm, so that didn’t confuse me. It was a really strong scene that would absolutely make me keep reading. For some reason, the thumbs aren’t showing up. I can’t vote, and I can’t see who I’ve already voted for. Winter Challenge is more demanding for me because I work in the winter, not the summer. I didn’t have the time to play with this challenge the way I wanted to. I made time to read what others invented and am grateful to Rebecca for all the hard work in running it. My life is richer by being here. Writers are good sports. None of us complained about the extreme word count limit. However, the readers almost all complained. Therefore, please may we have more words to play with ? 300-400? Please. Pretty please with sugar on top? How wonderful are the imaginations wandering around inside this community! Brilliant! Surprising! Intriguing! Mystifying! I thoroughly enjoyed every new twist on the opening line. Not one seemed like a repeat of others. Well done everyone! For me, God was missing from most entries. If we are Speculative we should have the paranormal and I believe we had that in spades. If we are Faith…. God should be hinted at in the first 200 words. Thanks again! I look forward to reading the winners tomorrow. i can’t find the link to part 2 of this. how do we know who won?